Sleep D and Turner Street Sound is in the house! A loose dub theme vibe is indeed the case! Made especially for the 8 years of Butter Sessions celebrations, this spicy 7 will be available for the first time on the door. SLEEP D / ROSA TERENZI "Shark Tempo / Paranoia On Tap"
SLEEP D "Space Pillow / Confusion"
COMPILATION "Domestic Documents Vol. 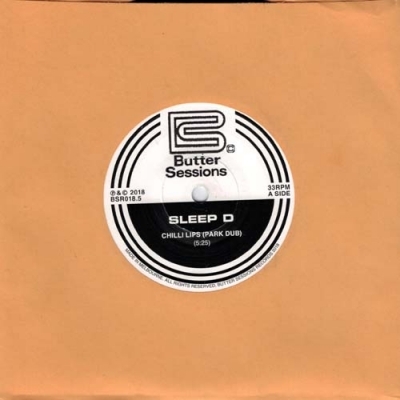 2"
SLEEP D "The Jackal Pt 2"
COMPILATION "Butter Sessions Vol 5 (Sounds From The Suburbs) "
SLEEP D "Backstreets / Hydro Dub"